How to Harvest - Knit Your Dog! Hair must be brushed out to be spinnable. Brush, comb or rake only. No cutting, no clipping, no Furminator. just don’t pack the hair tightly for a long period of time. 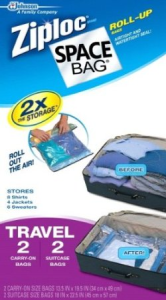 Think of it like a down comforter or sleeping bag; you only pack it tightly for short periods. Like when you’re going to send it to us. For that, Space Bags are great. Use the “Contact Us” button (to the right or down below) so that I can call or write you to arrange for you to get it to us. Local drop-offs are fine; and mailing is cheap because it weighs so little! We will wash it, spin it and keep your hair and wool in the Bank, safe from moths and pests, until it’s time to make something wonderful and personal out of it. Note: if your dog has a skin condition, it’s best to bathe your dog, then allow the coat to dry thoroughly before brushing. Excessive skin flakes can cause matting even after brushing. And mats cannot be spun. As you (or your groomer) harvest hair, you will notice that some hair is shorter than other hair — for example, leg hair is shorter than torso hair. That shorter hair will shed out of your finished garment later. It can be used for stuffing (if, for example, you’re getting a teddy bear) but if you want to minimize lint on your non-chiengora clothing, do not include the short leg or face hair with the body hair. Short-term attention provides long-term benefit! Questions? Click on the “Contact Us” button to ask, and we’ll get back to you right away!